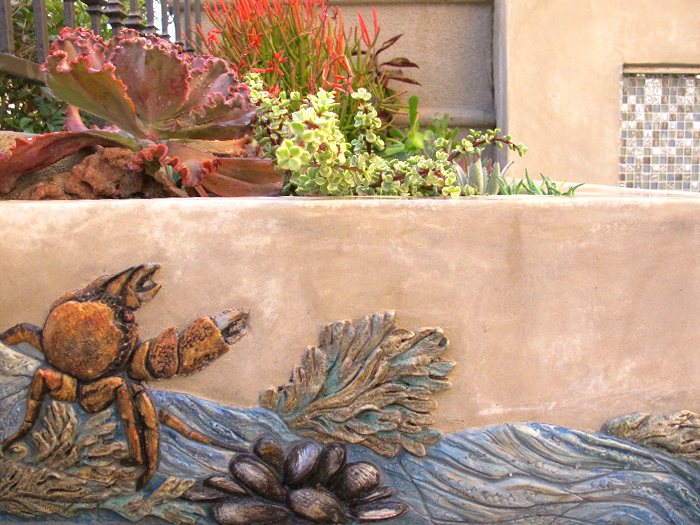 In the Kakkis Residence Courtyard, Betsy Schulz combined sculpted ocean-inspired ceramic murals and low-water succulents to complete the landscape design by Jeff Parker of OceanScape Design Inc. Betsy assisted in choosing the seeding materials and concrete color to ensure they harmonized with the ceramic on the low walls. During the construction, Betsy made templates that included the wall’s curves and angles. 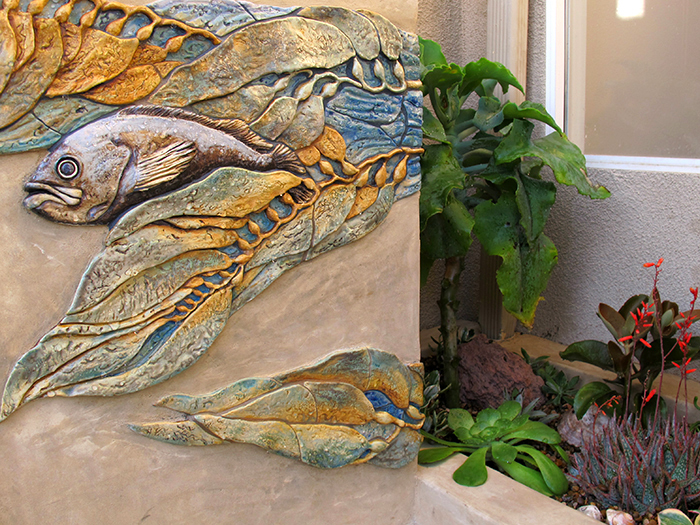 She then used these templates to sculpt the pieces in the studio. 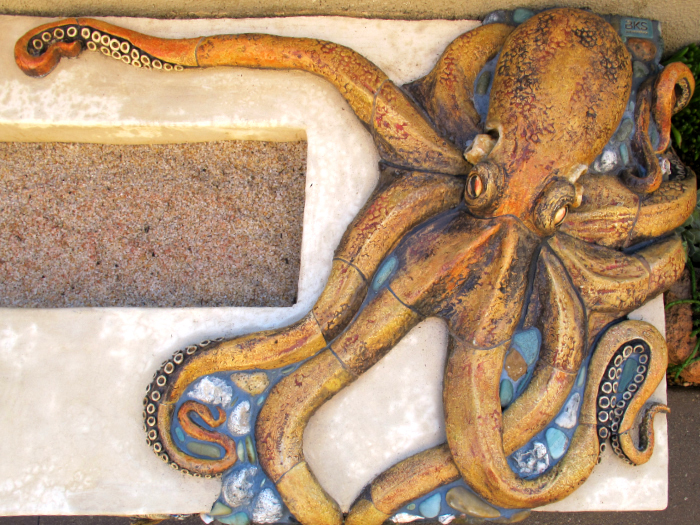 Once fired the pieces were installed onsite in a few days, by Betsy and her assistants, Kathy Tanaka, Karin Wilson and Cooper Schulz. 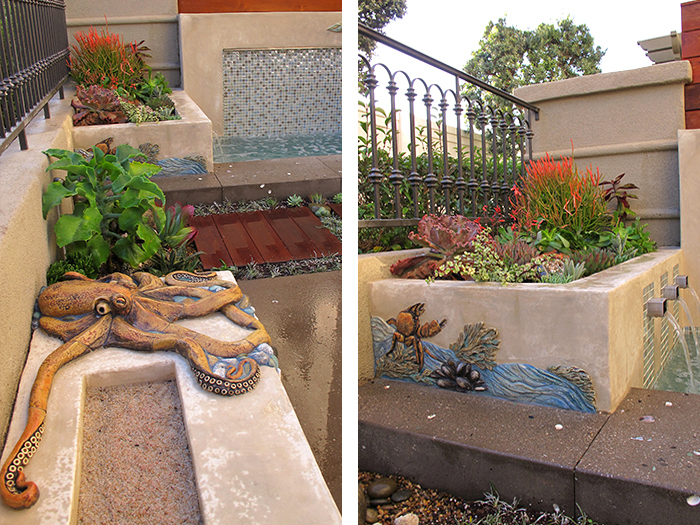 Katie Pelisek and Betsy Schulz selected and installed the plants within a week. 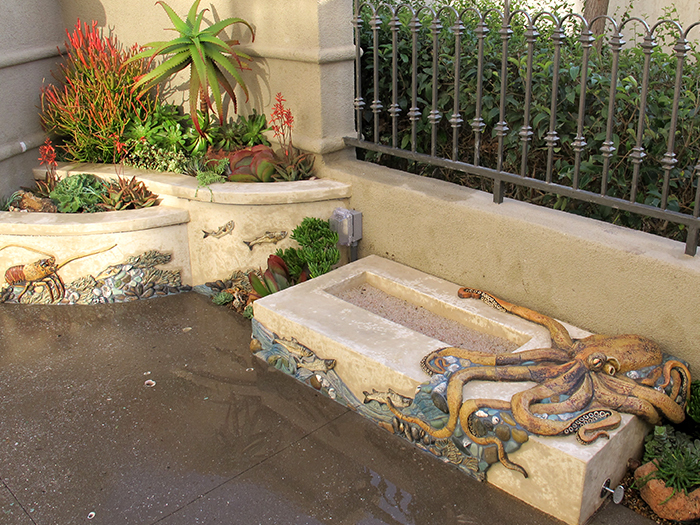 The succulents chosen to resemble under-sea plants and compliment the sculpted ceramic murals. 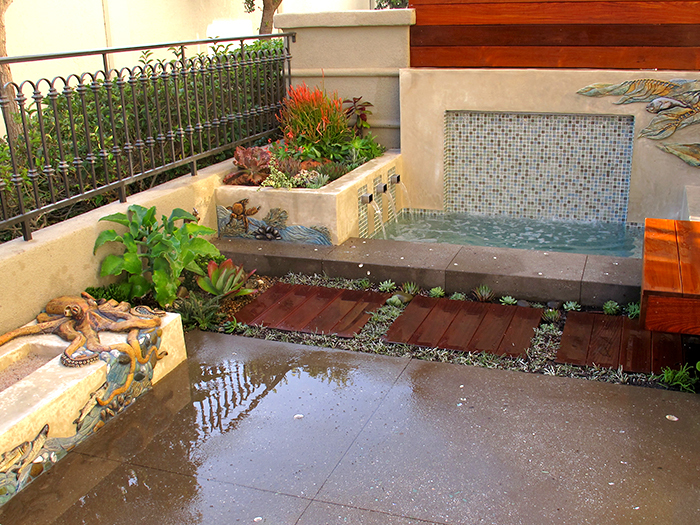 This courtyard is now a beautiful new entry to the home and a pleasant place to relax at the end of the day.